Every year the False Creek Yacht Club welcomes dozens of non-members to host private functions. Our lounge and award-winning club boasts some of the most spectacular water views in the City of Vancouver and can be the perfect backdrop to your night. With ample room for dining and entertaining, False Creek Yacht Club is one of the premier rental venues available in the Lower Mainland, British Columbia. Our rental facilities include our lounge, boardroom, and a gorgeous, outdoor wrap-around patio. 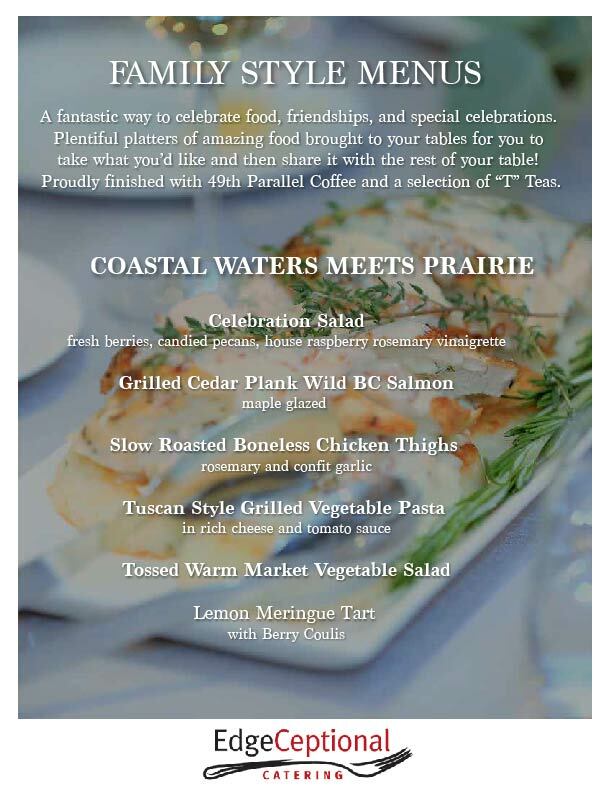 Celebrate your years together with family and friends overlooking our beautiful False Creek. Your special day is all about you. Our in-house event team can help bring your vision to life. Bringing people together for a cause is important. Our team can help make your event run smoothly. 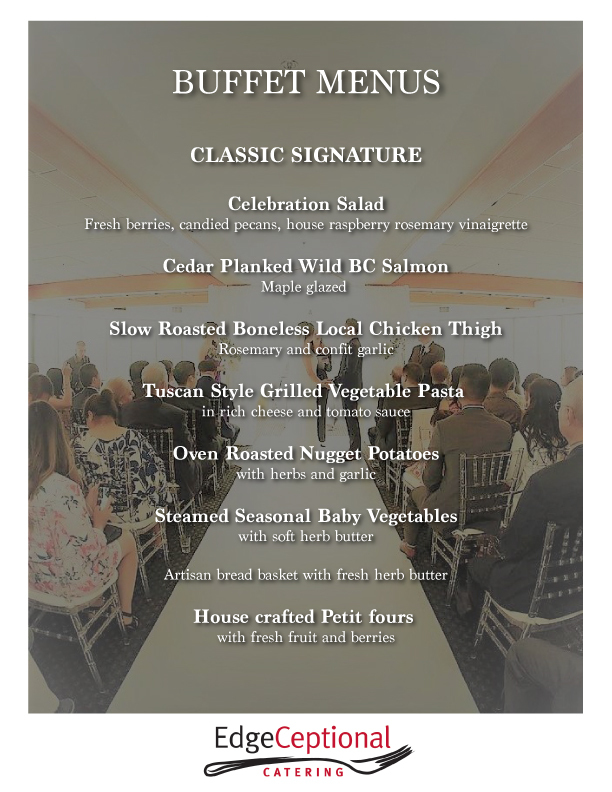 Located near downtown Vancouver, FCYC is perfect for hosting your Christmas parties, work events, and other corporate functions. Looking for the perfect spot to host your loved ones? FCYC welcomes your families and friends to honor your special day. Let us help you commemorate one of life’s happiest times with a celebration you’ll never forget. Why host your event at False Creek Yacht Club? We provide all the furniture including set-up and will assist with your layout for your reception. Free parking is available on the day of your event for you and your guests; however parking is limited so it’s not guaranteed. Friendly, outgoing staff will ensure your event is successfully executed. Let us host your event, check out our venue today! 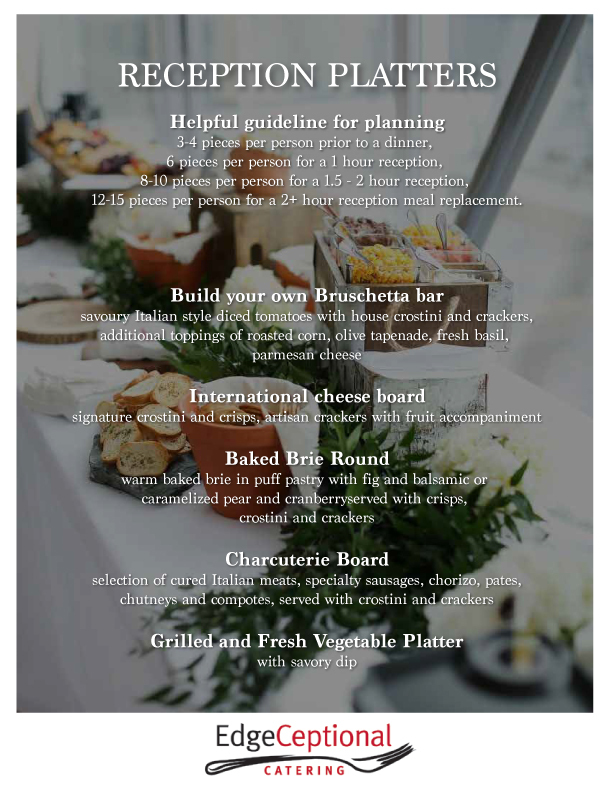 Welcome to EdgeCeptional Catering at FCYC, a full service caterer company built by a team of dedicated professionals passionate about designing your perfect day. 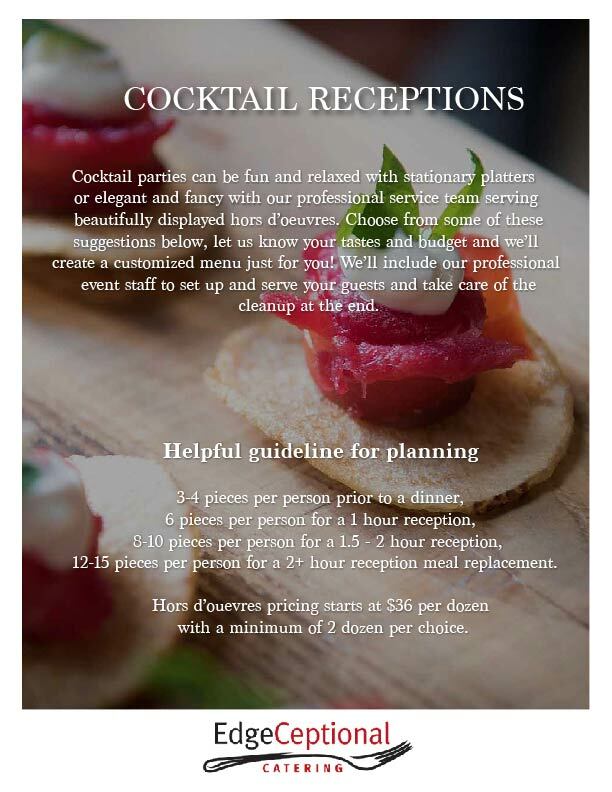 Renowned for our personal detailed approach, exquisite cuisine and attentive service, we translate your vision into an event experience beyond the expected. From corporate meetings, social gatherings, BBQs and festive celebrations to the dream wedding of a lifetime, your event is in experienced and trusted hands. We guarantee your culinary experiences to be nothing short of “EdgeCeptional”. 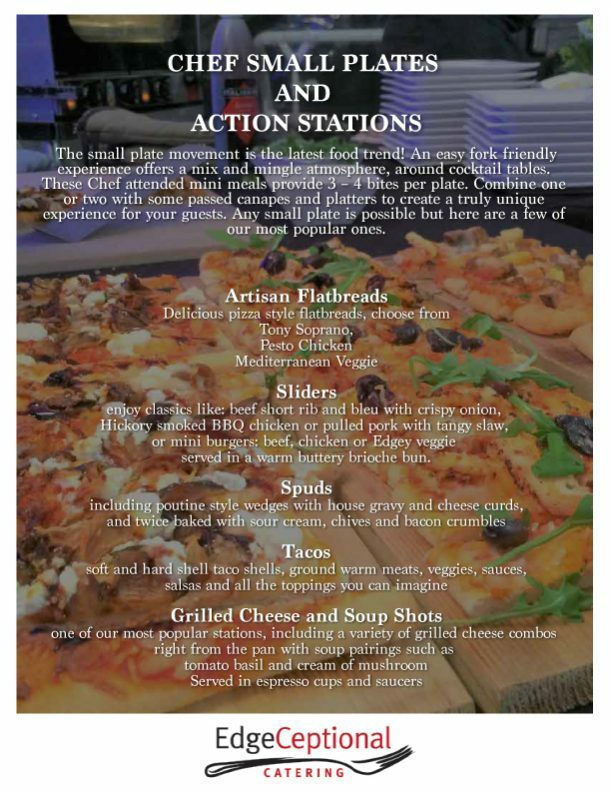 Let us begin to create that perfect menu for your event. Together with our talented team of Chefs, we will customized a menu that personally suits your vision and tastes. Please see a selection of our most popular suggested menus. Menus can be tailored to suit many dietary restrictions and personal taste. 1. What date is the full payment due? Full payment is due the day before the event. 2. What is the non-refundable security deposit for? To save the event date selected by the renter, a non-refundable security deposit of 50% of venue rental cost must be paid. The amount is due upon signing this agreement. We require a credit card be held on file in case of damages. Cancellations that occur 6 months or less in advance of the event, 100% of the rental fees will be charged. 3. How do I secure my booking? The event continued past 1:30AM. There is any damage or loss to the building, surrounding area, and/or equipment. The cleaning was not done to the level required or expected. The event was found to permit underage drinking and/or drinking without the proper licenses or against False Creek Yacht Club’s policies. Failure to comply with the City of Vancouver’s noise restriction bylaws and/ beyond the tolerance of surrounding residents o Insufficient removal of personal belongings, decorations, and garbage (Additional charges may apply for cleaning). 4. What is the $15 corkage fee and how is it charged? Venue renters may bring outside wine to the event. The bar charges $15 per bottle opened. Every time a bottle is opened, the cork will be recorded. The bartenders will add that to your tab and is payable at the end of the event. It is subject to GST and 18% gratuity. Bottles of wine not used must be removed at the event end time. We are not responsible for lost or stolen goods. 5. How do I pay the bartenders their tip? An 18% gratuity is automatically charged to all drink menu items. 6. What are the bartender’s duties? What hours are they working for the event? The bartender’s primary duty is to pour drinks for guests; if time permits, they bus tables for FCYC bar glassware. They provide assistance to bring garbage to the BFI blue container located on the ground level, but they do not collect garbage at any time. Catering staff usually help out to bus tables. Bartenders are on shift 1 hour prior to guests arriving unless specifically requested otherwise. They stay until the bar closes and is the last person to leave. They are not permitted to work over 10 hours without prior notice and overtime charges will apply if they are requested to. 7. How to I deliver items to the Club the day of? Is there an elevator? Do you have a dolly (hand cart) for items? Will the Club be open? Please arrange delivery dates and times ahead of time. There is an elevator and hand cart that can be used for deliveries. The Club can be opened by the Marina Attendants between 9AM - 5PM on weekends (604-648-2628). Weekday delivery can be coordinated at the office. 9. Can items be set-up the day before the event? No. The priority of this venue is for the Club’s members. The rental cost only covers the booking of the day. Setup time can start at 9:00am on the day of the event. 10. How is set up done? What charges apply? The Club’s furniture can be arranged as requested on a floor plan. Without confirmation, a $200 setup fee will apply. Rental furniture setup and table settings are not included in the rental. 11. 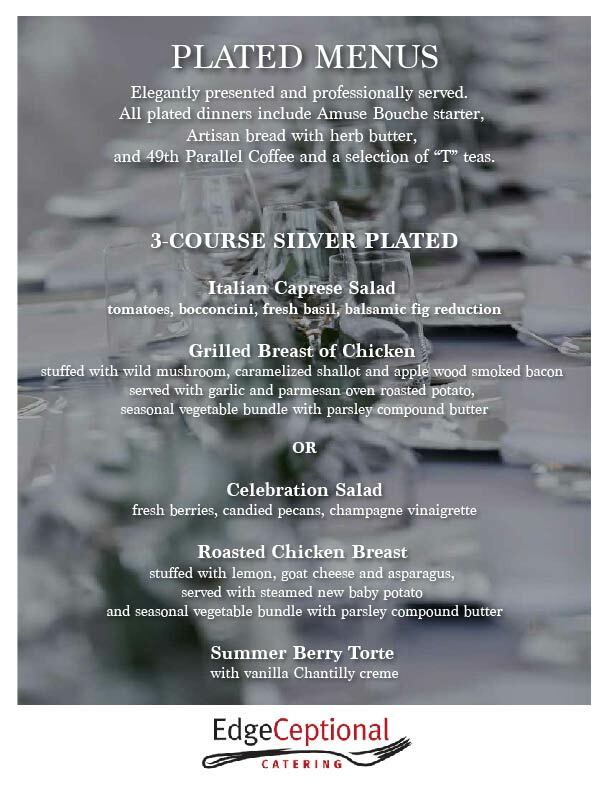 Is linen provided for the event? No. Linen is not provided. If you require linen for your event, rentals can be arranged through your catering company or event organizer. 12. How many tables and chairs does the rental include? 13. Are any plates or cutlery provided? No. Any plates or cutlery must be rented through your catering company or Rental Company. Bar glassware is provided for serving alcoholic drinks ordered from the bartending staff. Champagne flutes and wine glasses used for table setting are not covered in the rental cost. 14. Will someone from the yacht club be present that night on-site? The bartenders are your on-site staff members for your event. If you would like additional staffing, separate charges will apply. 15. What is the responsibility of the renter and the Club in terms of cleaning? The venue must be left in the same condition that it was found in. The renter is responsible for clearing all tables of dishes, linens, and items that is not property of False Creek Yacht Club. The staff on-site at the event will provide garbage bags and will assist in taking down the garbage to the BFI container for proper disposal. Any broken items should be brought to the attention of the bartenders and must be cleaned up immediately. Decorations must be removed and any personal items remaining on the premises after the designated booking time will result in the loss of the damage deposit. The cleaning company will wash the floors, vacuum, clean bathrooms, and wipe down tables after the event. The use of the rental space and furniture is at the risk of the renter. Any legal infractions are the sole responsibility of the renter for the committed rental time. Renter is solely responsible for the conduct and welfare of all persons accompanying the renter. The venue is absolutely gorgeous and perfect for any event, small or large. We had a formal event and it worked out perfectly! As well the venue manager was very helpful and great to collaborate with. All round, it was a great experience! Excellent venue for our 25th wedding anniversary. Staff was very helpful and courteous. The view was unbeatable!